The only juicing I have done is with my big automated juicer. 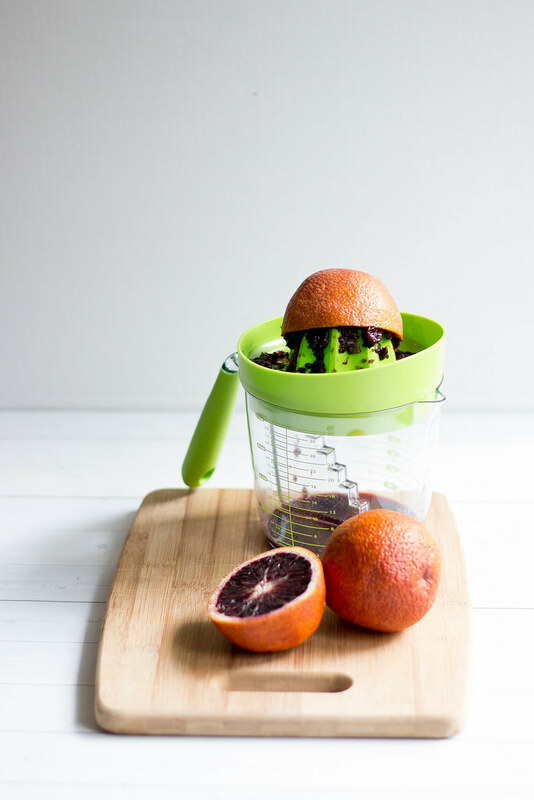 I always wanted to try hand juicing with one of those funky cone shaped kitchen gadgets, which apparently is call a citrus reamer. 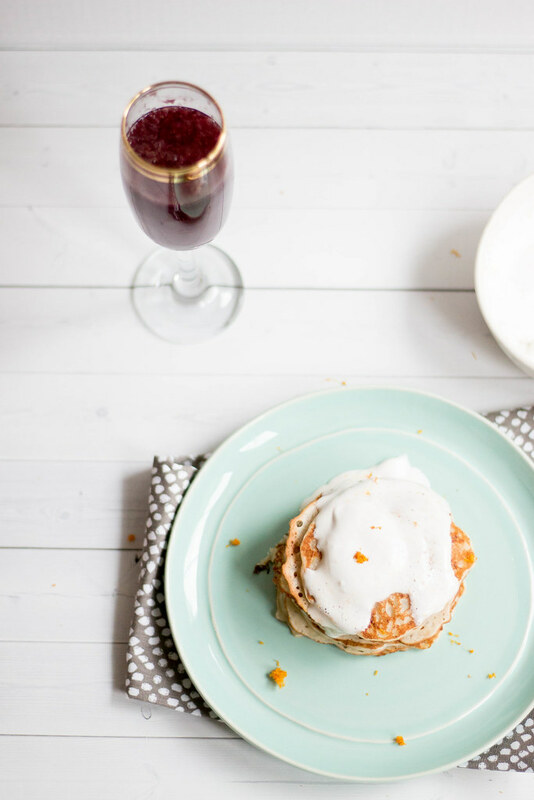 So when KitchenIQ reached out to see if I would be on board with trying out a few of their Kitchen Gadgets to create a Brunch with So Delicious, I was totally on board. The first product I was dying to try out was their Prep + Measure Tool, which just so happens to be a 3 in 1 tool- totally a bonus! 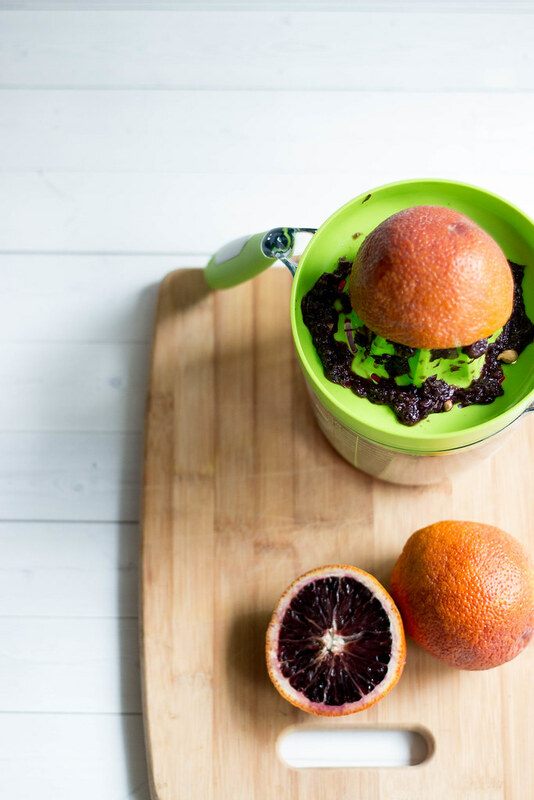 This nifty tool is a jumbo measuring cup, citrus reamer and gravy separator. One blood orange gave the perfect amount of juice for 2 mimosas and the reamer was super easy to use, making juicing a small amount of fruit seamless. Really it took a matter of minutes. 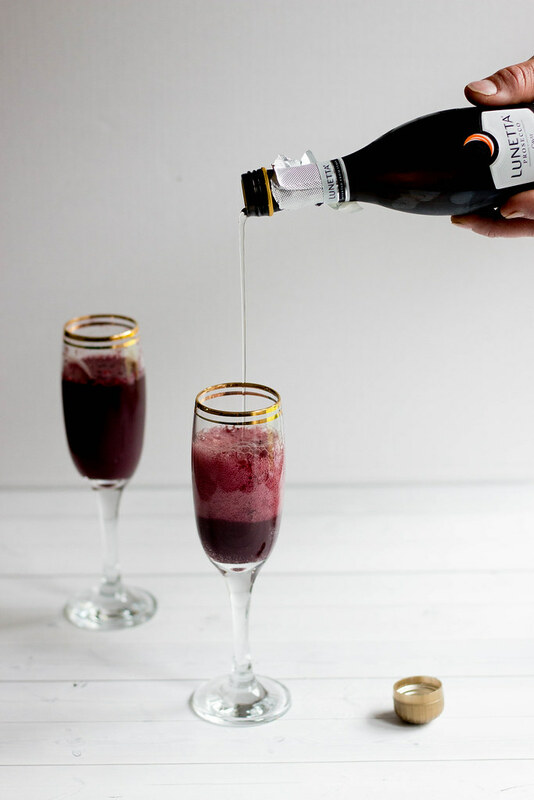 You could use regular navel oranges, but look how pretty that blood orange mimosa is! The second tool I tested out was the V-etched Better Zester . I have owned multiple zesters, what I really like about this one is the handy storage case with measurements. 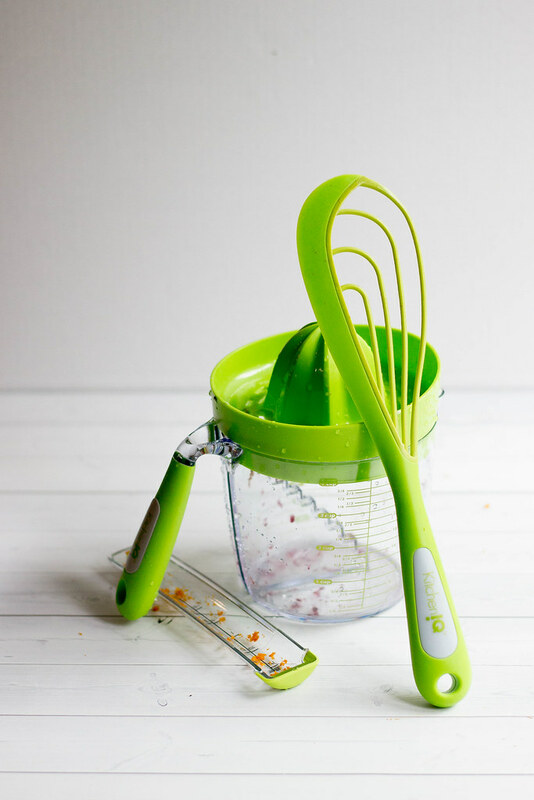 You can zest and measure at the same time and contain your zest mess..... I am a messy zester and this keeps clean up on point. 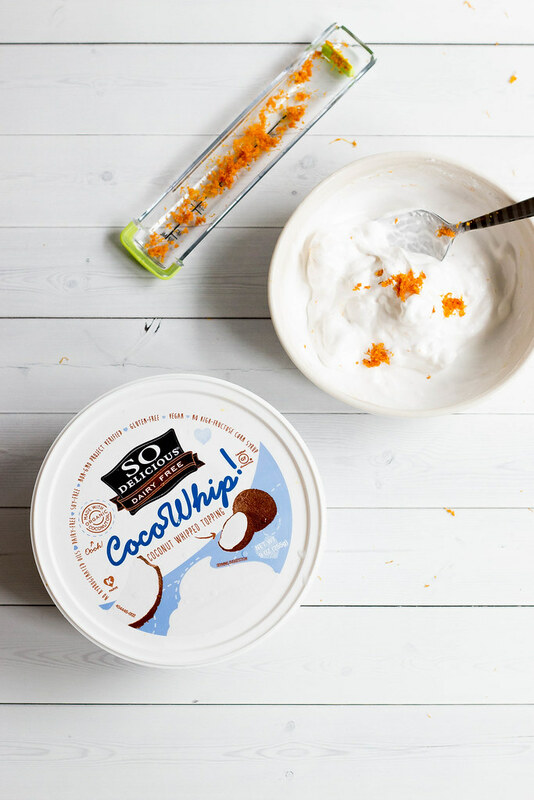 I zested a bit of blood orange to add to one of my all time favorite products from So Delicious - CocoWhip! 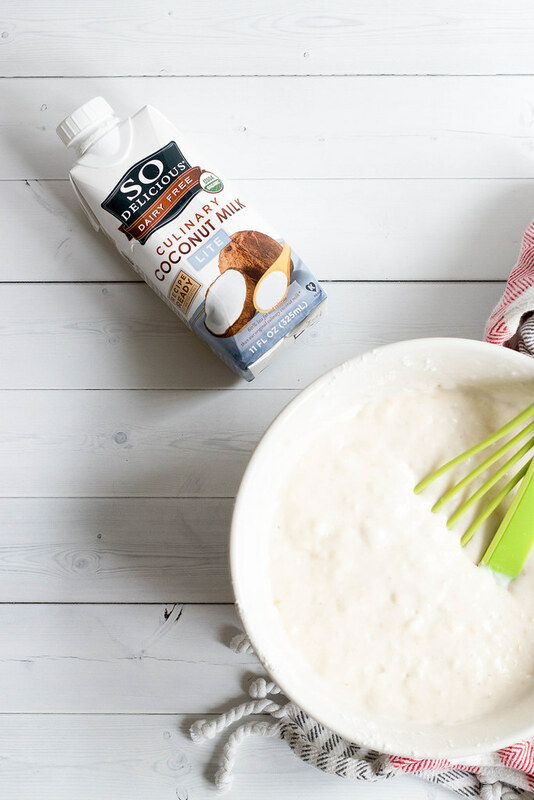 Yes we are all capable of making homemade coconut whip, BUT do you always have a can of coconut milk on the fridge ready to go? If you do, props to you! 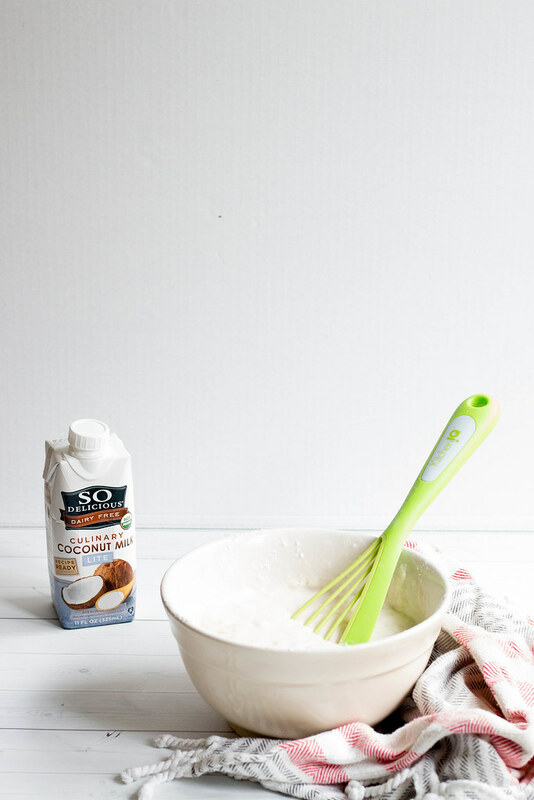 In those moments where you just want a dollop of Cocowhip on your cocoa or a heaping pile on your pancakes for one, So Delicious to the rescue! The third product that I played around with from KitchenIQ was the Whisk + Spatula 2 in 1. This is so cool, stir up your batter with the whisk, tap off and give a quick rinse then use it as your spatula for flipping your pancakes. I was really surprised how well this worked, I really like how you can get right under the pancake for a seamless flip. Worked like a charm each time. It also works well for scrapping around the sides of your batter bowl for the last of the batter. It's fitting, no? 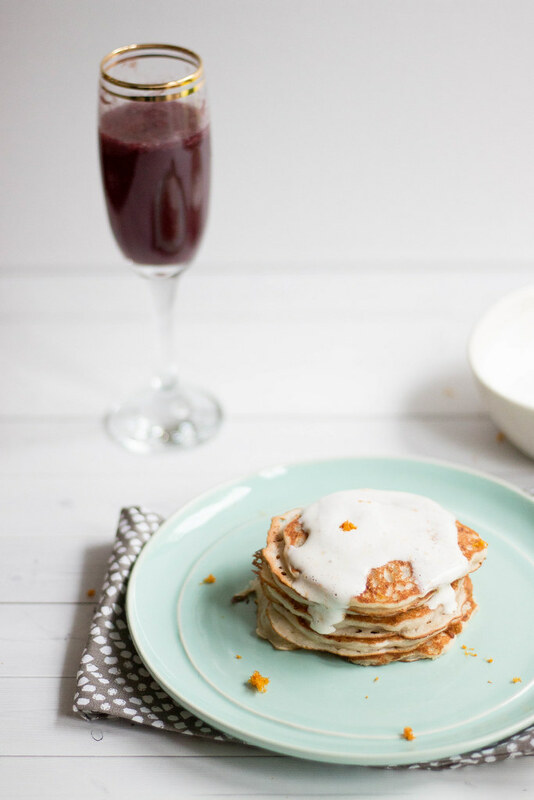 That I actually have a straight up Banana Pancake Recipe on the Blog, am I right? 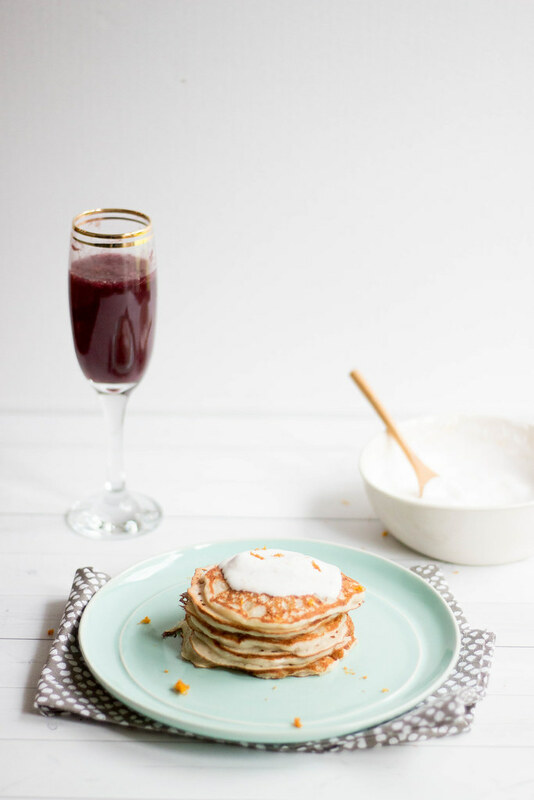 These mini banana pancakes are made extra decadent with the use of So Delicious Light Culinary Coconut Milk super rich and creamy, adding just a hint of coconut to the batter. 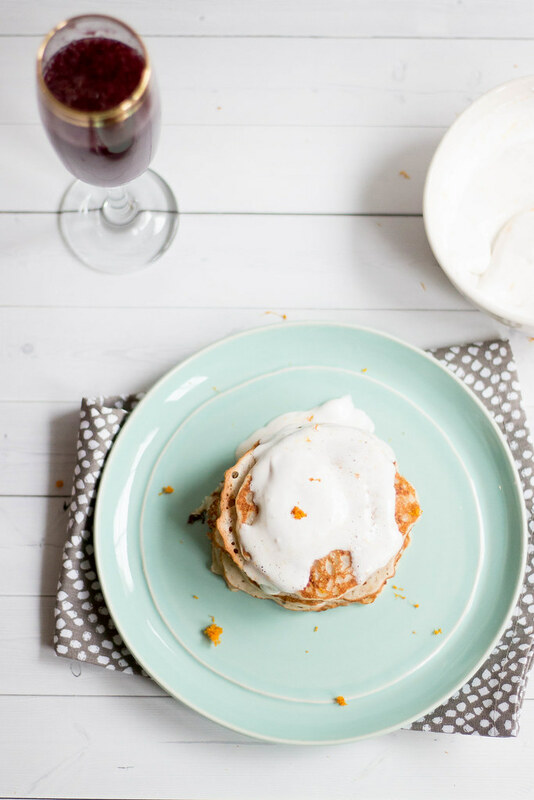 Pancakes are so stupid easy to make from scratch- there is absolutely no excuse not to make homemade panny cakes. 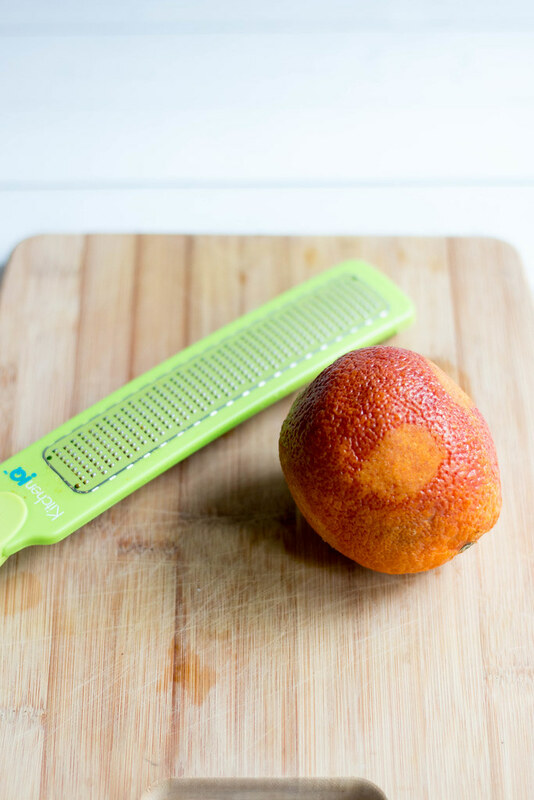 Because I love you, I have teamed up with KitchenIQ for a reader giveaway. Simply enter below for a chance to win the following bundle! In a medium mixing bowl mash banana really well - we personally do not like chunky bananas in our pancakes, so mash to your liking. Add flour, baking powder, baking soda, powdered sugar and salt to the mixing bowl, Create a well in the middle of the flour mixture. Add culinary coconut milk and stir just until a lumpy batter forms. Heat a griddle or griddle pan over medium heat. Grease the pan with a bit of butter. Cook until small surface bubbles begin to form and pop. Flip and cook a couple minutes on the other side. You may need to adjust your heat if you are finding your pancakes are browning too quickly. Remove from pan and keep warm in oven prior to serving. Place cocowhip in a bowl and add zest - stir well. Pancakes topped with fresh strawberries, sliced bananas, and So Delicious. Waffles with all the toppings, always berries and whipped cream! I love having quiche for brunch! Favorite brunch dish? That's a tough one. I mean, who doesn't love brunch? lol! I'd have to say probably mini muffins or scones. 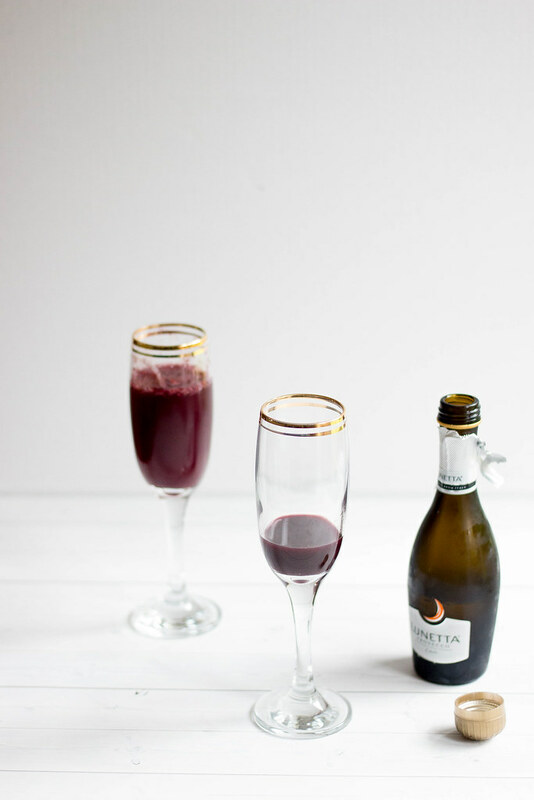 They're so pretty and a perfect addition to any brunch. My favorite part of any brunch is a well-made cappuccino! Thanks so much for the giveaway! I like to make a frittata for brunch. My favorite brunch dish is bacon and turkey wrapped in lettuce. I am a fan of Eggs Benedict and Chocolate Eclairs for brunch.